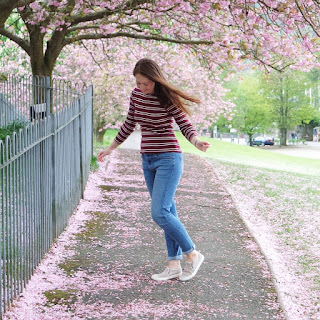 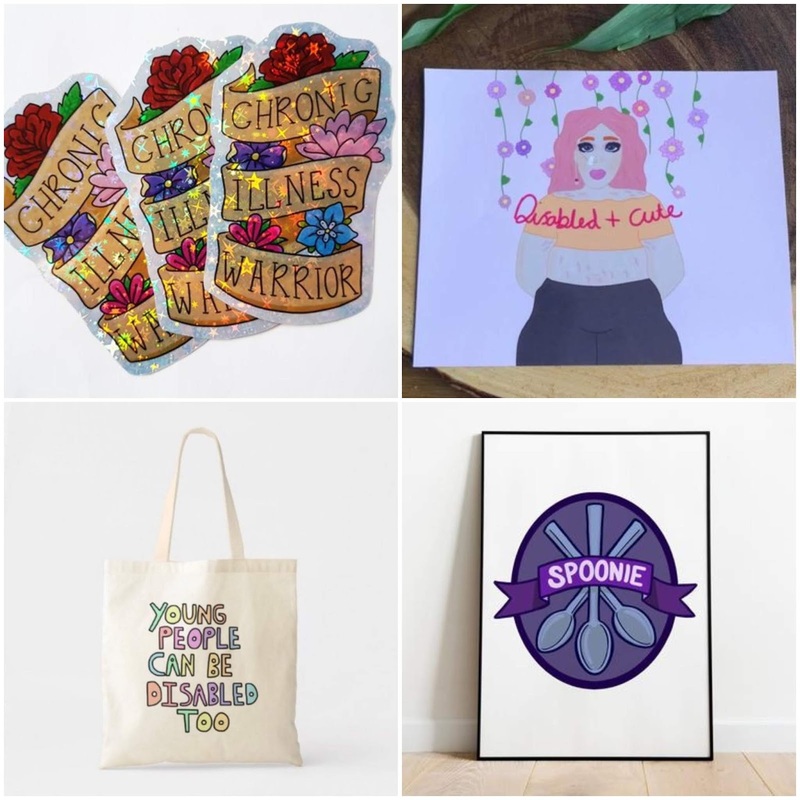 It's very important that I preface this post by saying that I myself am not disabled but I have written this post in the hope of supporting my disabled and chronically ill readers and bringing some attention to small businesses, particularly ones run by makers with disabilities themselves. 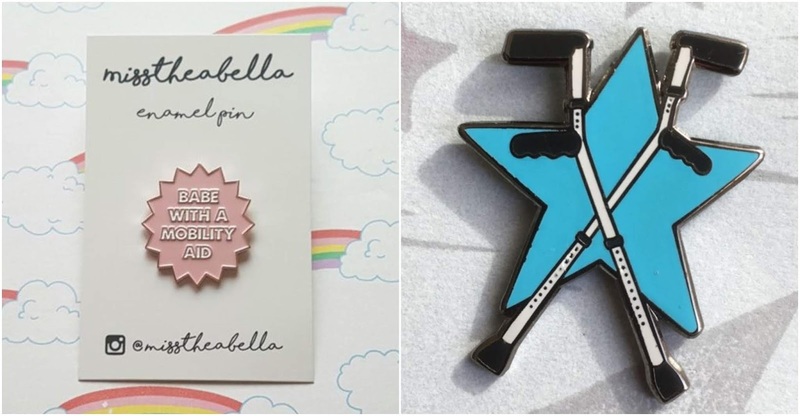 If there are any items or shops you'd like to see added, let me know! This shop is super inclusive, and one of my favourites. 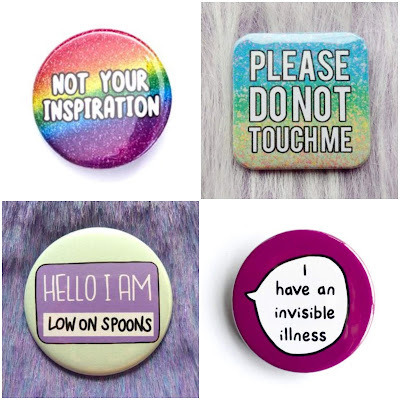 The seller also carries these badges with a whole variety of specific conditions, and helpful phrases like 'talk to me, not my PA' and 'I know sign language'. Because people still don't realise this! A tongue-in-cheek item, but after seeing some horrible posts where ignorant cavemen have left rude notes on disabled drivers' windscreens, I couldn't not include it! 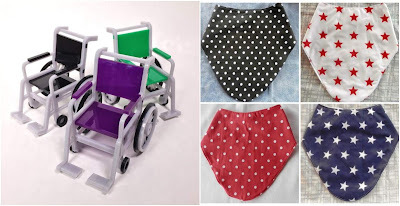 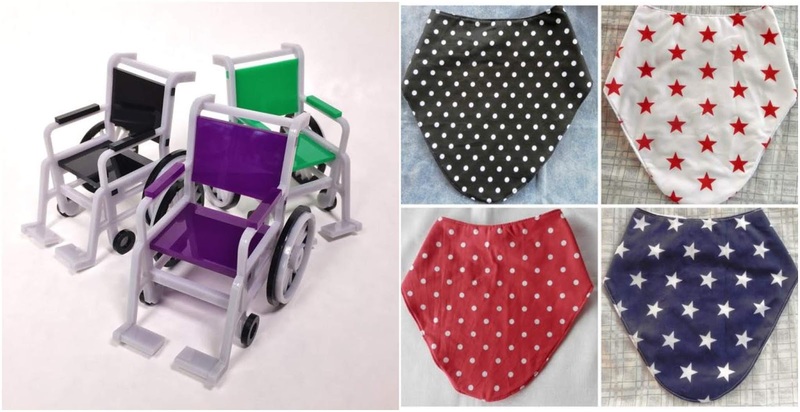 This seller makes wheelchairs for dolls houses and ones specifically to fit Barbies! 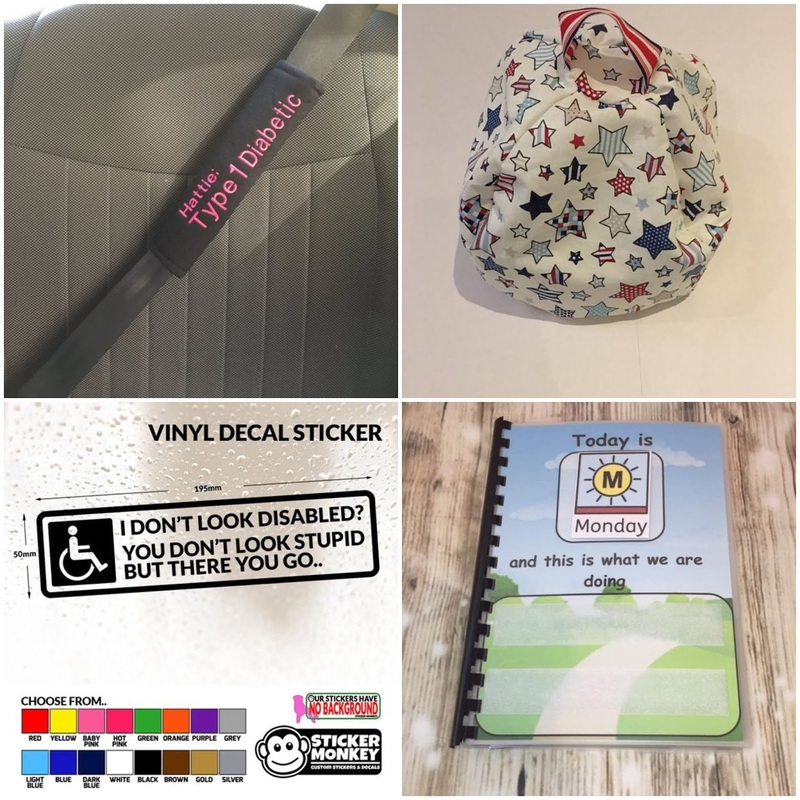 Hopefully I've rounded up a good selection that could be of benefit to your, or your disabled friends and family. Which item is your favourite?